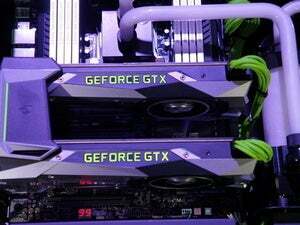 Digital Storm's stunning AiO was built with the GTX 1080 and Intel's new Broadwell-E chip in mind, but you'll be paying a lot extra for that. 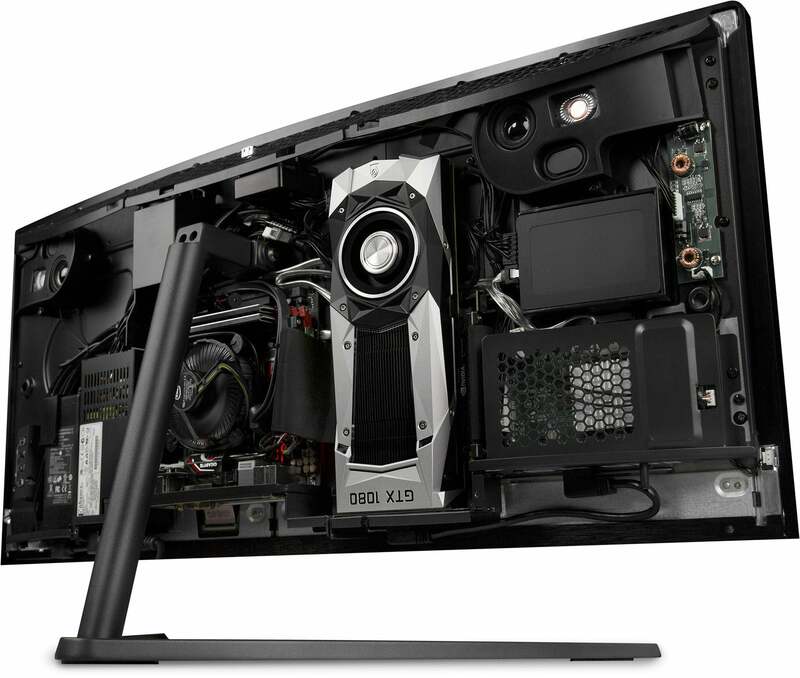 Earlier in 2016, we saw the launch of a bunch of powerful all-in-one (AiO) PCs, including Origin’s Omni and Maingear’s Alpha 34. 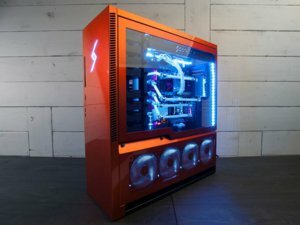 Now, custom PC-maker Digital Storm is bringing another entrant into the powerful gaming AiO trend with the launch of the 34-inch Aura, an all-in-one that was designed to rock your gaming world with Nvidia’s “badass” GTX 1080 graphics card and Intel’s new 10-core Broadwell-E chip—the Core i7-6950X. The Aura was announced on May 31 at Computex in Taiwan. 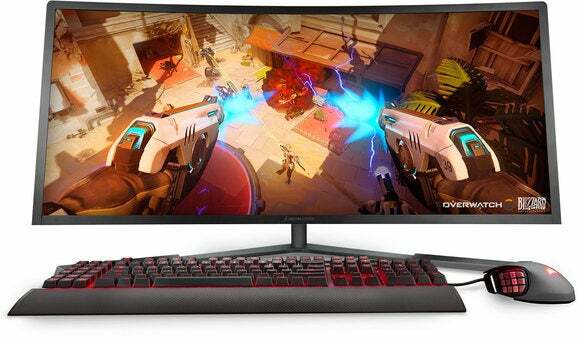 Prices start at $2,000, but that doesn’t include a mouse or keyboard, or the awesomeness of the i7-6950X or the GTX 1080. 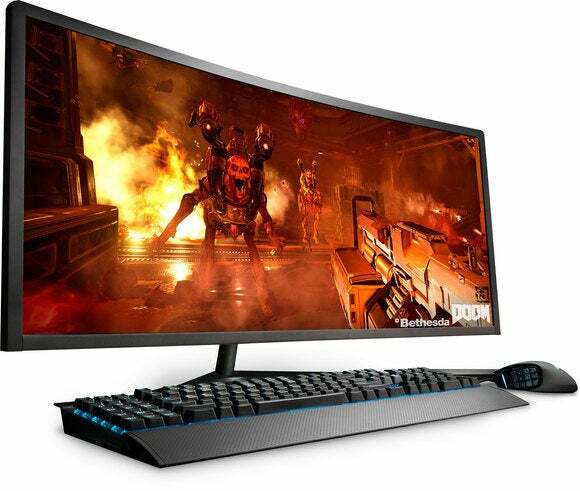 Instead, you get a 34-inch ultra-wide curved display with 3440x1440 resolution and a quad-core 3.2GHz Intel “Skylake” Core i5-6500 processor nestled in a Gigabyte Z170N-Gaming 5 motherboard. 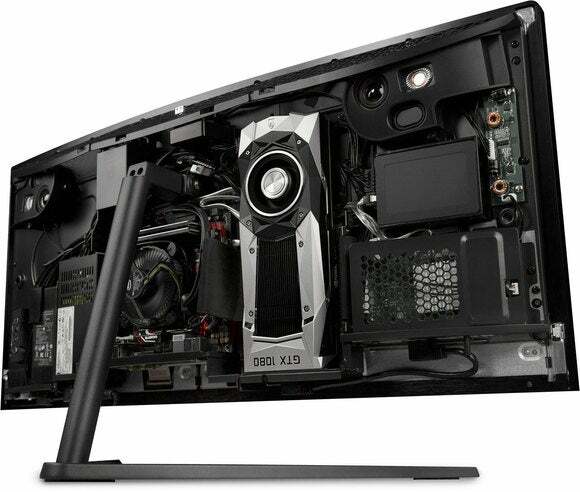 The base AiO also rocks 16GB of RAM, a 1TB 7200RPM hard drive, and an Nvidia GTX 960 graphics card. If you want the top-tier goodies, you’re going to have to shell out more—a lot more. The i7-6950X alone has an MSRP of $1,723, while the GTX 1080 is priced at $600. It’s true: The new Intel chip should win an award for insane prices, but as we said in our review, that’s what happens when a chip like this doesn’t really have any competition. If you decide to go with lower grade parts, you can always upgrade them later yourself. Digital Storm says the Aura was designed with off-the-shelf components so that users could handle DIY improvements on their own. 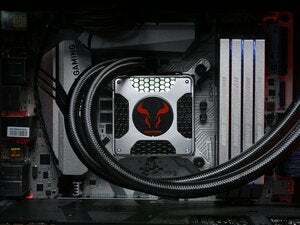 If you’ve been dying for a gaming AiO with style and power, this might be the PC for you. The Aura is available from Digital Storm right now.